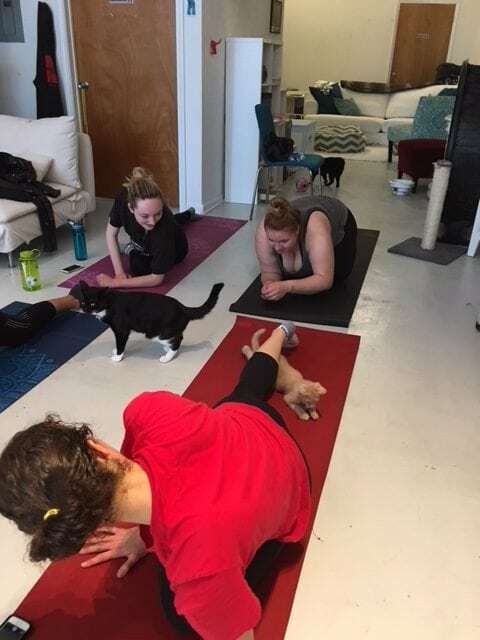 If you love yoga, you haven’t lived until you’ve participated in a cat yoga class (where downward dog is never allowed). The Windy Kitty offers cat yoga on many Sunday mornings. To get a feel for what that’s all about, check out WGN Radio Recess. 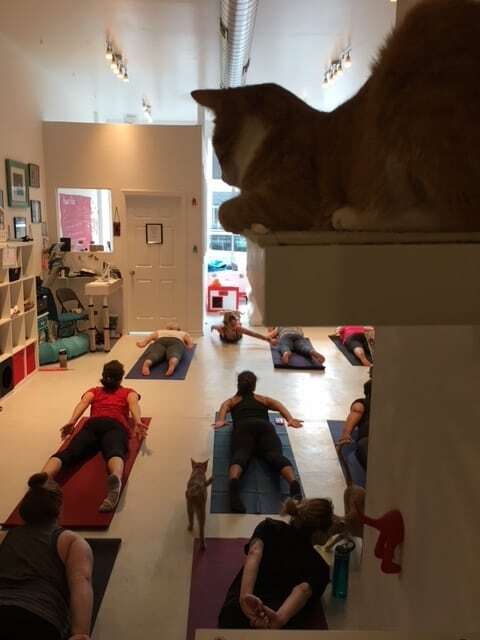 WGN Radio staffers, including myself and Pam Jones of WGN news visited the Windy Kitty to check out yoga for cats. 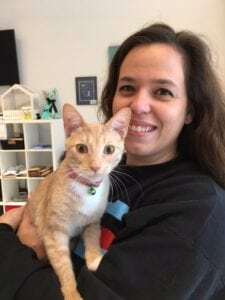 Here’s a cat yoga video review, including conversations with Jennifer Lynne Le Vine from Zen Yoga Garage, and Jenny Tiner, owner of The Windy Kitty. 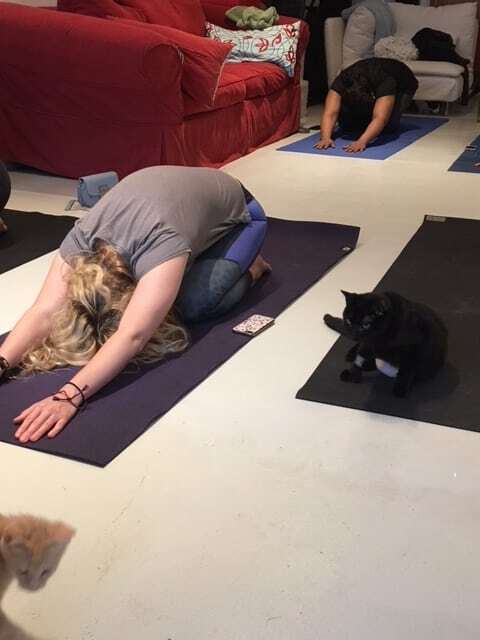 Partake in cat yoga, and your life will change. And, who knows, maybe you’ll even a adopt a cat! Windy Kitty is also host for other special events; for more, follow Windy Kitty on Facebook.